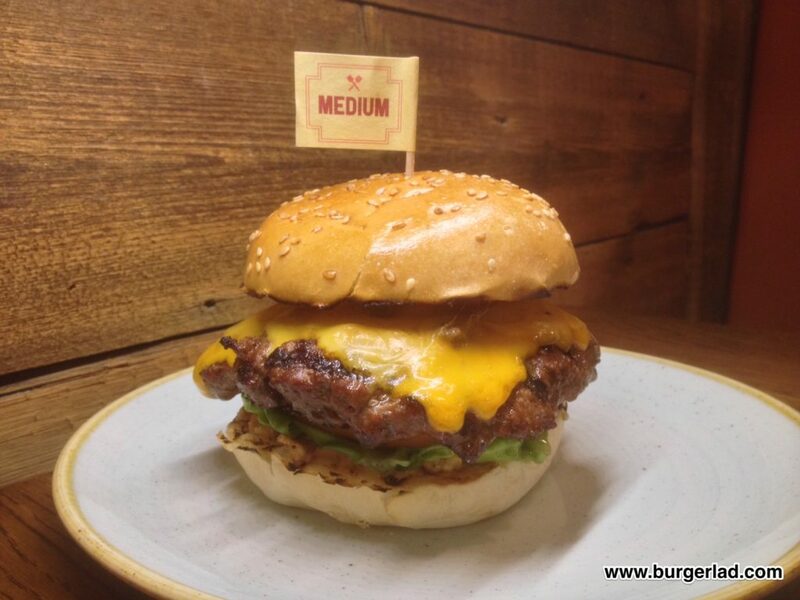 With a 7oz Rump patty, burger sauce, American cheese AND Red Leicester cheese, beef ketchup, crispy onions, salad & pickled onions, this burger is rich. We mean very, very rich. And SO cheesy. 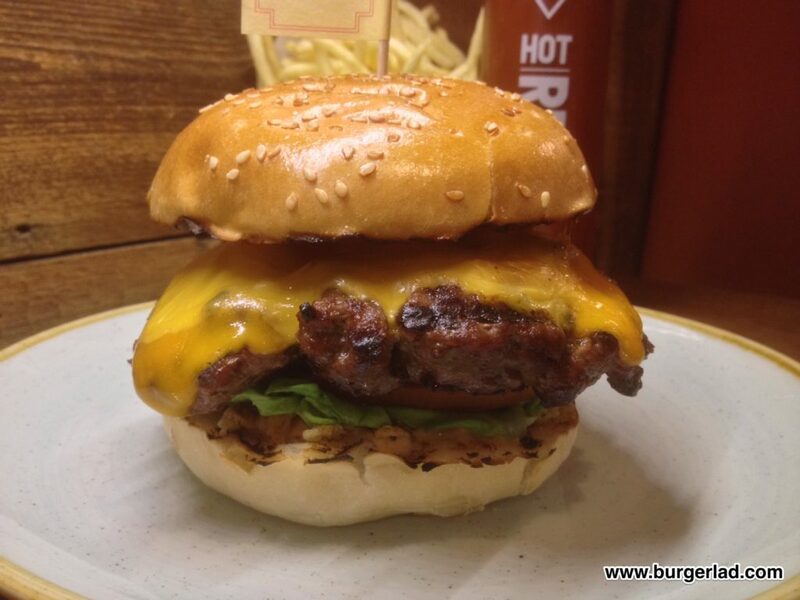 The very latest special at Gourmet Burger Kitchen is The Rump Burger – billed as GBK’s thickest burger ever! This is a 7oz Rump patty topped with two types of cheese and a variety of ingredients listed above. 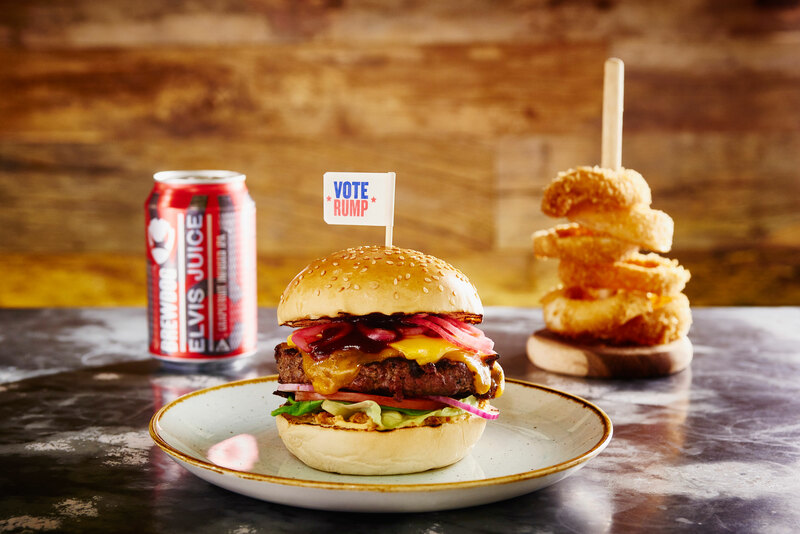 GBK are promoting The Rump Burger with a #VoteRump advertising campaign. I’ll let you decide if it is risky marketing a new special tenuously linked to such a controversial figure as Donald Trump. Clearly it is very tongue-in-cheek and definitely shows no support for the American businessman and politician. His name isn’t actually mentioned and it is up to us, the consumer to make the obvious association. 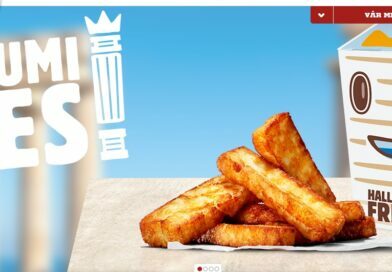 With the supporting marketing throwing in terms such as cheesy, thickest, no-brainer and toupee it certainly made me chuckle and displays a sense of humour from a restaurant chain recently bought for £120m by Wimpy owner, Famous Brands. 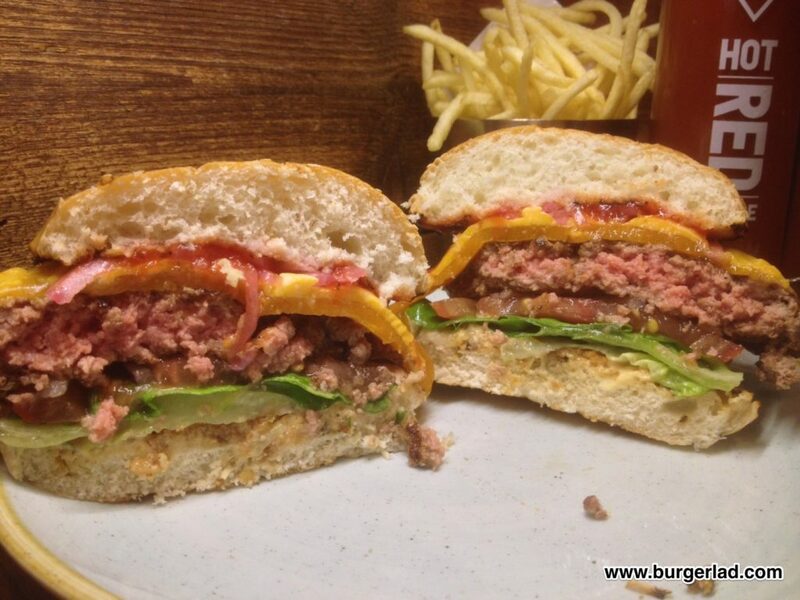 Anyway, enough of politics, advertising and takeovers… after a week of pretty dismal burgers, I was looking forward to sampling this new thickest burger from GBK. And with an impressive selection of toppings alongside this premium patty I was anticipating great things. 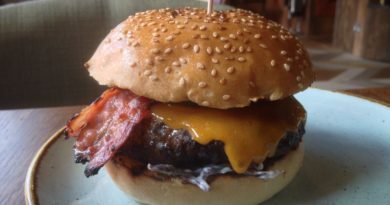 Before going in-depth on The Rump I am going to go on record and proclaim it to be one of my favourite GBK burgers ever! It’s no wonder this has apparently been red hot in terms of sales since it was released on 22nd September. 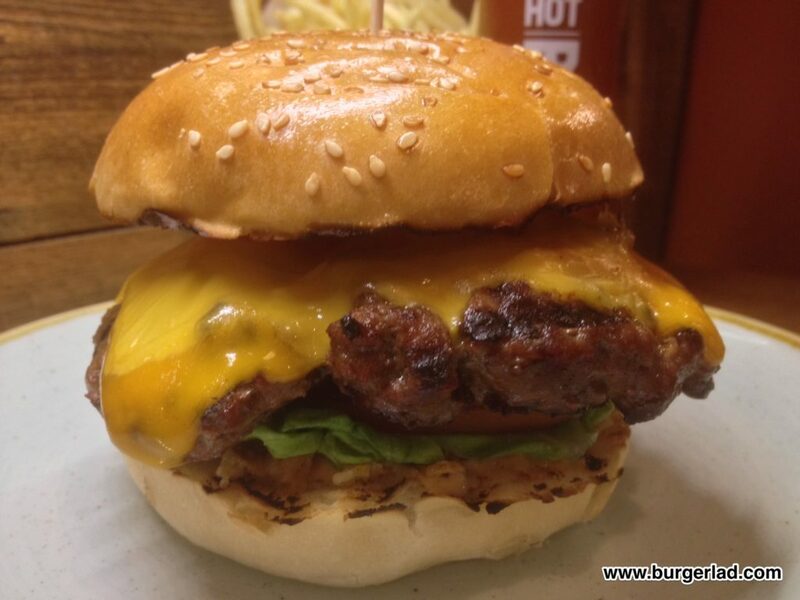 The thick 7oz rump patty is full of flavour and despite its considerable girth, was cooked exactly to specification. 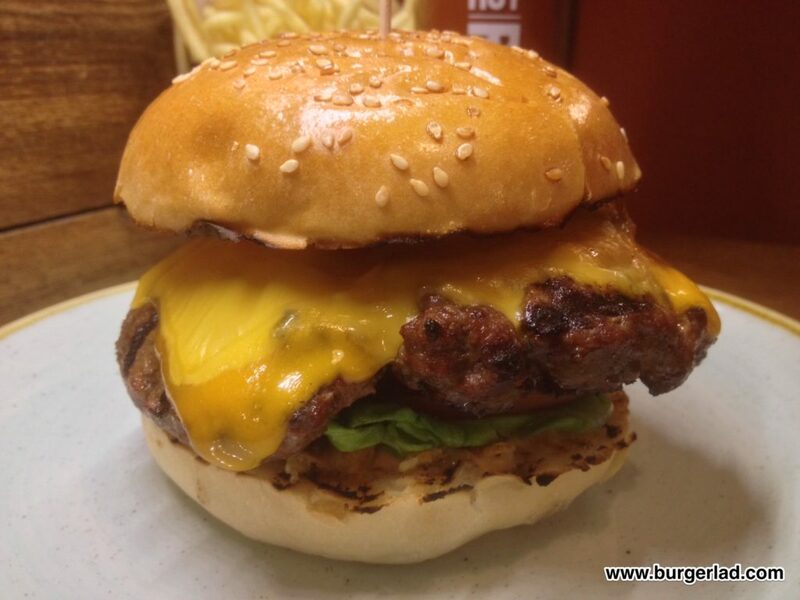 Texture-wise you can feel the quality of the beef between your teeth – it’s what every carnivore is searching for. Slightly coarse and densely packed, it’s not a million miles away from eating an actual rump steak. Impressive. 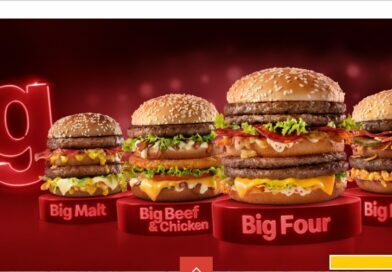 I’ve never been a fan of cutting a burger in half and cutlery and burgers should stay well away from each other. But for review purposes, I love to get a cross-section shot. The cut through reveals a beautiful layered effect of cheeses where American meets Leicester. The GBK Rump Burger special is really rather good. So much so, that as I am working my way through the second half I’m actually contemplating ordering another – I don’t get that urge too often. 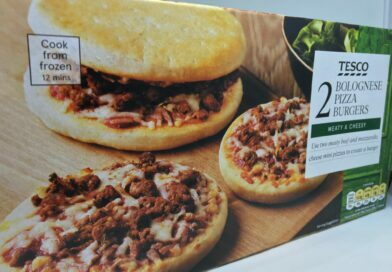 You get the richness of the beef and cheese but then there are the slightly smoky, crunchy crispy onions which although faint are more than distinguishable on the palate. 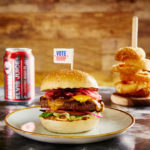 These are complimented by the pickled onions which give a semi-sour tang to proceedings – it’s a burger that ticks pretty much all the sensory boxes. When I saw The Rump description with two different sauces, two types of cheese and an array of ingredients I thought it could be overkill – I’m really pleased to report back that it isn’t! I love the contrasting sweetness of the beef ketchup and the delectable burger sauce. 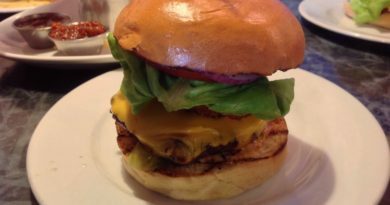 As you know, I’m never going to be a fan of ketchup but the GBK recipe again changes my viewpoint on the ever-popular condiment. But it’s that burger sauce that’s a real winner. I would have liked more burger sauce on my build. It’s not over-bearing, but instead compliments all the other components. I hope to see this and the 7oz rump patty return on future specials they are both that enjoyable. 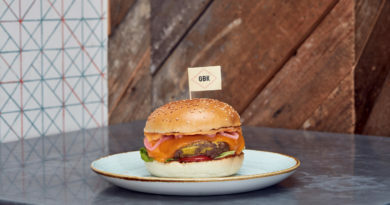 The patty is fantastic and after one or two recent specials I wasn’t overly enamoured with, GBK is back to its very best with their latest limited time offer. I’d also like to make a special mention to the staff at my local Worcester restaurant too. Without a doubt, one of the best front of house (and kitchen) team I’ve encountered – thank you! 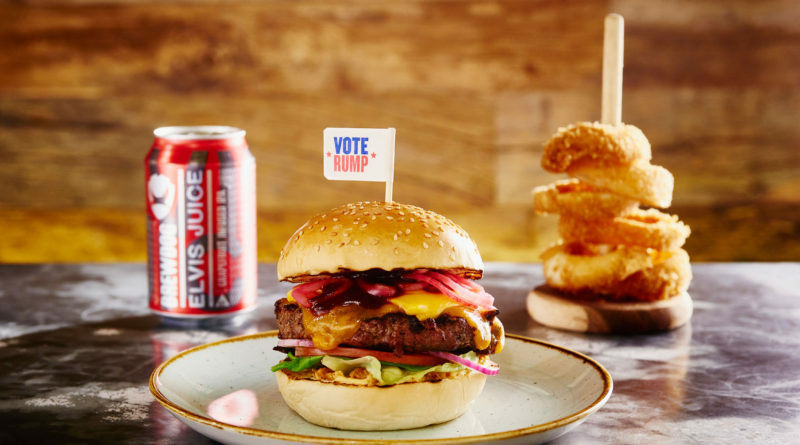 The Rump Burger special is available at GBK restaurants nationwide for £11.95 or £17.95 for the Rump Burger Bundle until Tuesday 8th November. I voted Rump – did you? 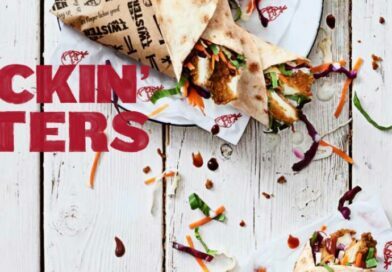 How can you call yourself the UK’s number one burger review site and you dont even f*%£ing say what method was used to cook the meat ?!?!?!??! Jesus on a skateboard !